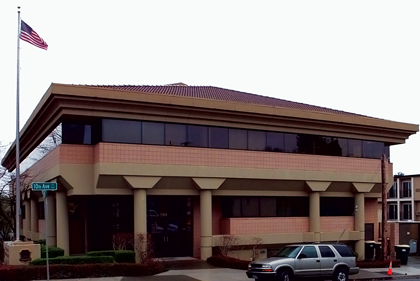 The Washington State Grange is headquartered at 924 Capitol Way South #300, Olympia, WA 98501. Just a few blocks north of the state capital building, this location puts us right in the thick of the action when it comes to statewide issues. The Grange is a fraternal, grassroots nonprofit organization rooted in agriculture and committed to providing the people of rural Washington a strong and respected voice among our elected officials. Grange members devote countless hours in service to their communities, reaching out to make sure the elderly, young and vulnerable, veterans and those in need are given the attention they deserve. The family farm as the basic unit of agricultural production in America. Locally controlled land use planning to ensure the preservation of productive agricultural lands. Multiple use concepts in forest management. Full legislative funding of basic education as presently defined. Publicly controlled utilities such as public utility districts and rural electric cooperatives. Protection of private property and water rights. Strict enforcement of laws against drunk driving. Taxing farmland based on its current use. Accessible and affordable health care. Mere months before Washington's statehood, a group of progressive men and women met in LaCamas, WA and created the Washington State Grange. They wanted to make sure the Grange had legitimate input into the creation of the Washington State Constitution. The Grange supported the successful Initiative to the Legislature No. 1 that allowed the formation of public utility districts. The Grange supported the successful Initiative to the Legislature No. 2 that implemented the blanket primary election process. The Grange supported the successful Initiative to the Legislature No. 59, the Family Farm Water Act, which greatly enhanced the survival of family farms in Washington. The Grange successfully sponsord Initiative 872 to replace the blanket primary with a constitutional “top two” qualifying primary. The Grange spearheaded the defense against relentless attacks on the top-two by the state’s political parties, finally securing a 7-2 affirmation in the United States Supreme Court.